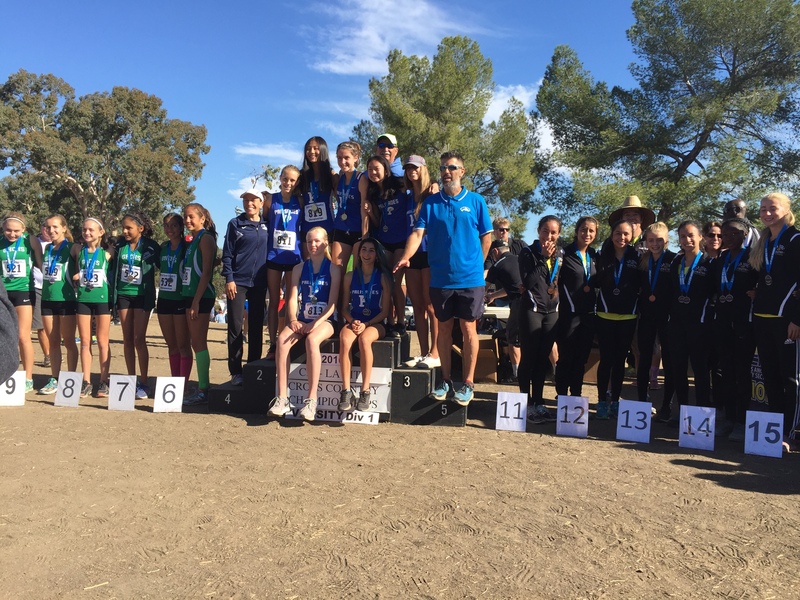 After running 2.91 miles on the hilly course at Pierce College, Palisades High School’s girls team won its fourth consecutive City Section Division 1 cross-country title on Nov. 19. The Dolphins also qualified for the State meet at Fresno on Nov. 26. 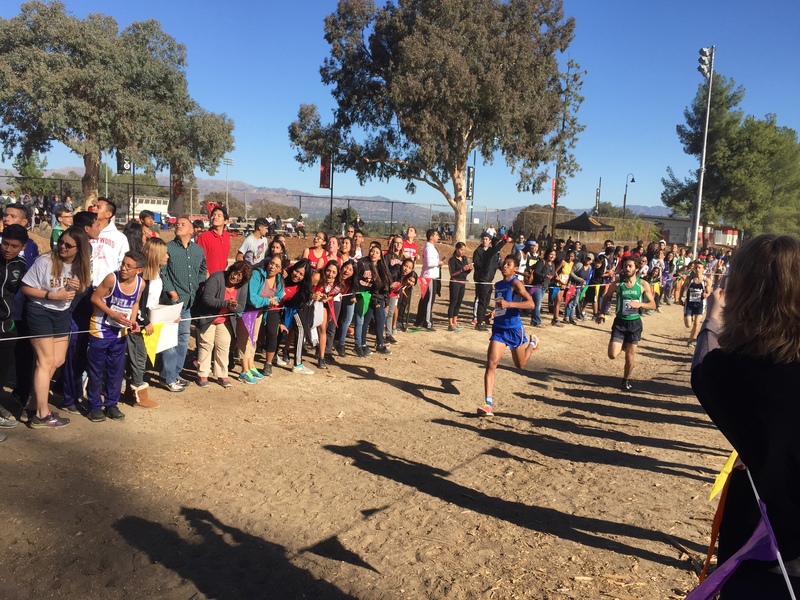 Pali freshman Lila Copland won in 18:45.88, followed by teammate Kimia Smanadi (19:03.35). Brittany Darrow (19:16.27) took seventh, Sarah Bentley (19:18.84) was eighth and Elisa Kim (19:24.21) finished ninth in a field of 78 girls. Copeland, who started the school year at Wildwood in the Southern Section, competed in only her third meet for Palisades. “I’m happy with my time,” the 14-year-old said. “I expected to run slower, but I felt really strong today. “This was tough, but I think the speed work we did during the week helped,” Copeland said, noting they had worked on 800- and 1,200-yard sprints on the track. She expressed confidence in her team’s chance to win at state, too. Brent Smith, top finisher for the boys. While at Revere, Copeland smashed all running records, including those held by Marissa Williams, who now competes at UC Berkeley. Williams consistently won the City cross-county finals, and as a senior in 2014 ran the course in 16:33.11. Joining Copeland and Samandi at State will be Bentley (freshman), Darrow (sophomore), Kim (freshman), Lee (senior) and Ariel Pollack (senior). 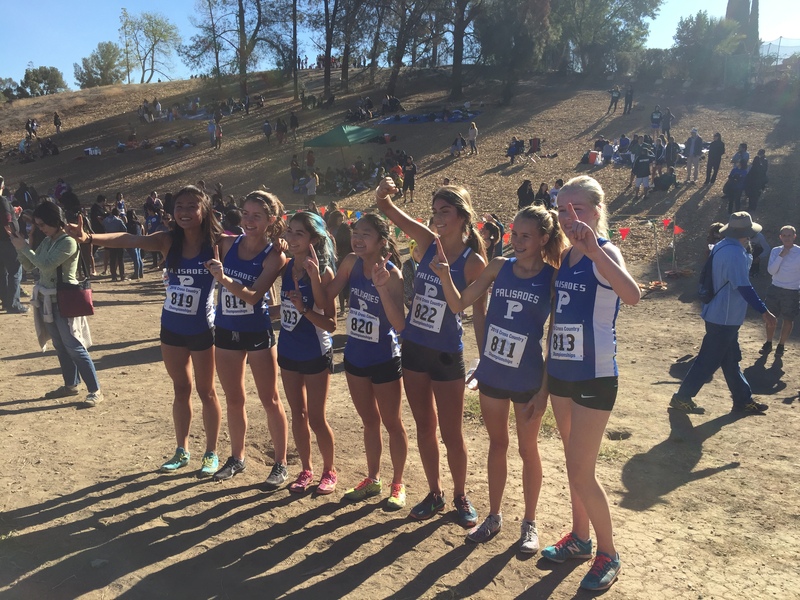 The PaliHi girls also won the team title in both the junior varsity and freshman/sophomore divisions. Palisades runners placed fourth, sixth and twelfth in the JV division, and second, fourth, fifth and eighth in fresh/soph. At the beginning of the season, the Daily News had picked Pali’s boys and girls teams to repeat as City champions. Palisades finished third behind Granada Hills and El Camino Real. Sophomore Brent Smith was Pali’s top finisher, missing fourth place by just .08 hundredths of a second with a time of 15:33.25. The winner was El Camino junior Justin Hazell in 14:57.87. In addition to Smith, Ben Hamer was eighth (15:43.46) and Jakob Pollak was eleventh (16:56.79). Smith and Hamer, a junior, will run as individuals at state. Pali’s JV boys took fourth and the fresh/soph team was fifth.